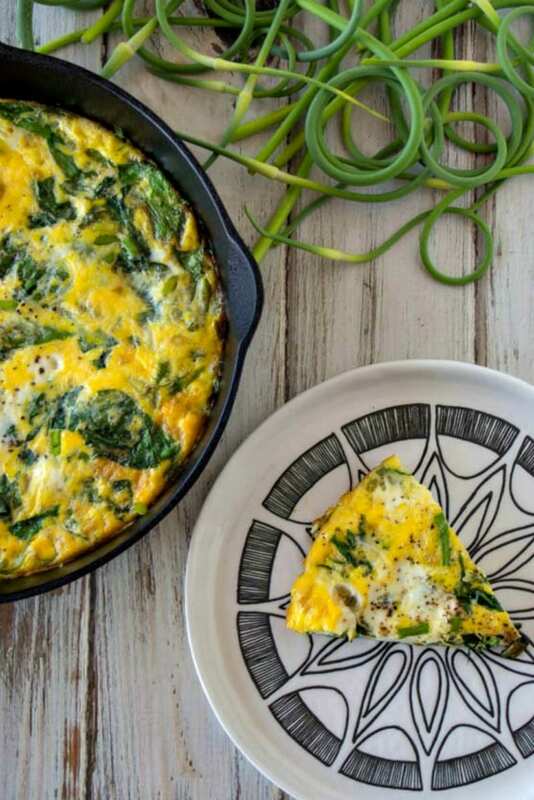 This Spinach Frittata with garlic scapes is a tasty vegetable frittata that works well for breakfast, brunch or dinner. The addition of garlic scapes adds a subtle garlic flavor to the recipe. 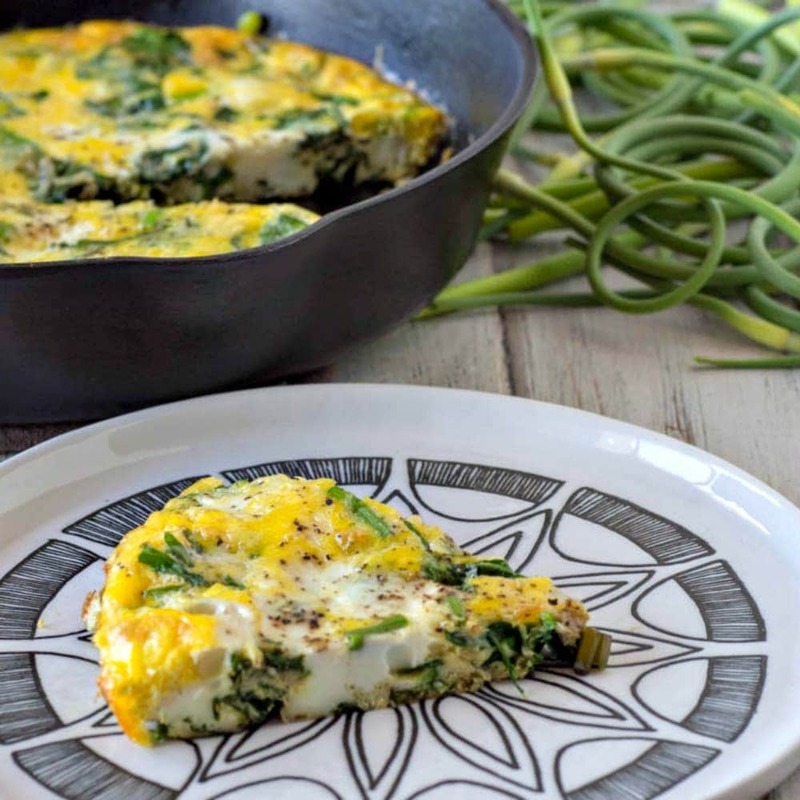 A Frittata is good not only for breakfast, but also when you want breakfast for dinner. 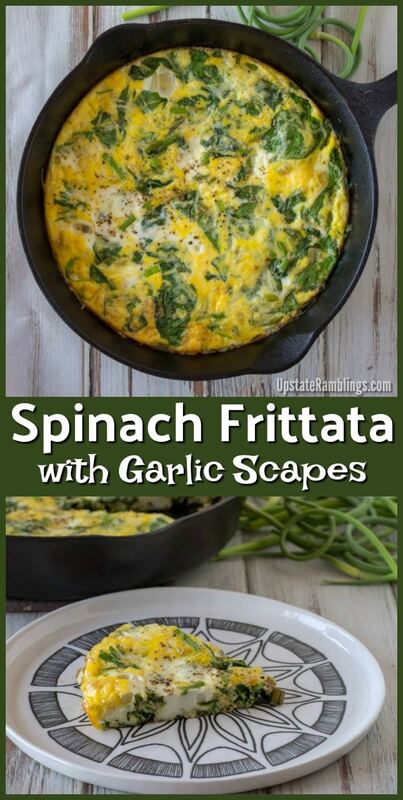 I like to use different combinations of vegetables in my frittatas, but spinach is probably the one I use the most, because it is available year round, healthy, tasty, cooks quickly and pairs well with other vegetables. 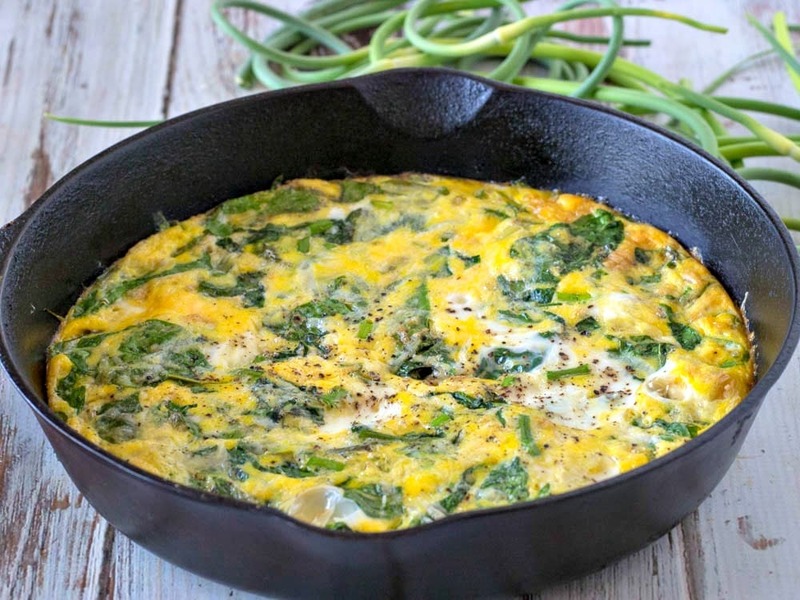 You can see how I paired spinach with tomatoes in this Spinach Tomato Frittata, but in this recipe I combined the spinach with a much less common vegetable, garlic scapes. The first time I saw garlic scapes I had no idea what they were, or what to do with them. I learned that they are the curly top part of the garlic plant, and when they are young they are quite tasty. In New York garlic scapes are one of the first seasonal vegetables that we harvest in the spring. 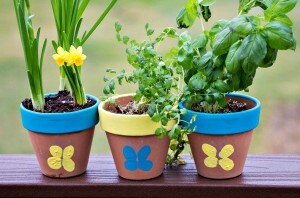 These stalks are usually cut off so they don’t divert the plant’s energy away from the garlic bulb. They have a mild garlic flavor, but are not nearly as pungently flavored as a garlic bulb. You can use them in cooking much like green onions. 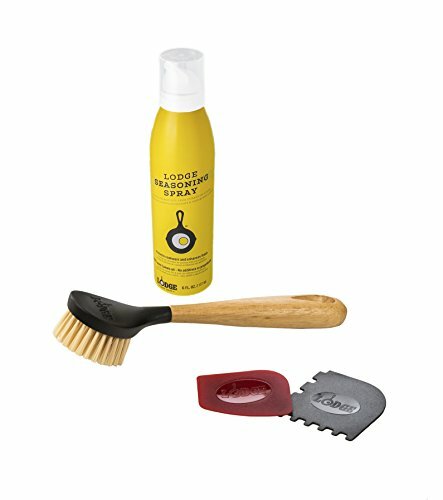 What can I substitute for Garlic Scapes? 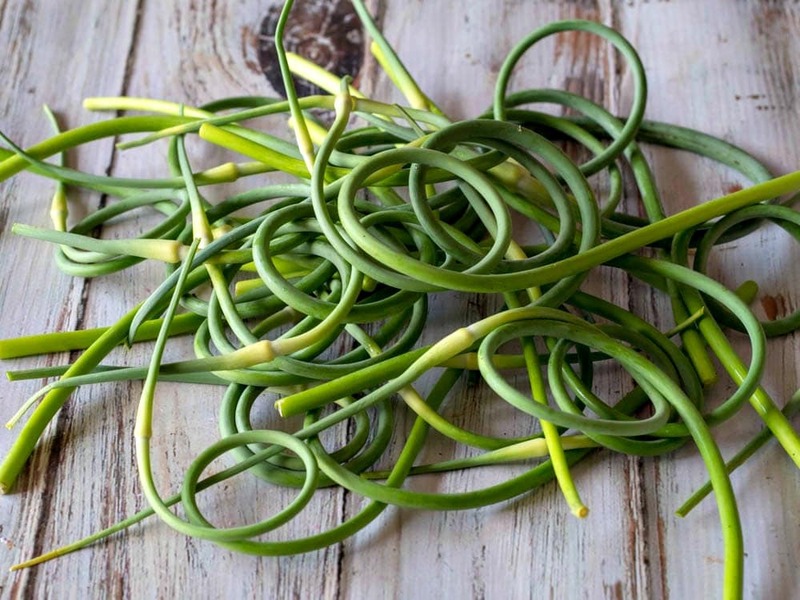 Garlic scapes aren’t a vegetable that you will be able to find year round, and are more likely to be found at a Farmer’s market than a grocery store. 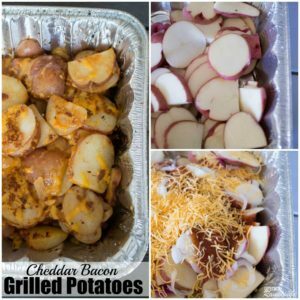 If you don’t have them for this recipe you can substitute either green onions or chives, and add in a clove of garlic to add some extra flavor. A frittata is started on the stovetop and then moved to the oven. 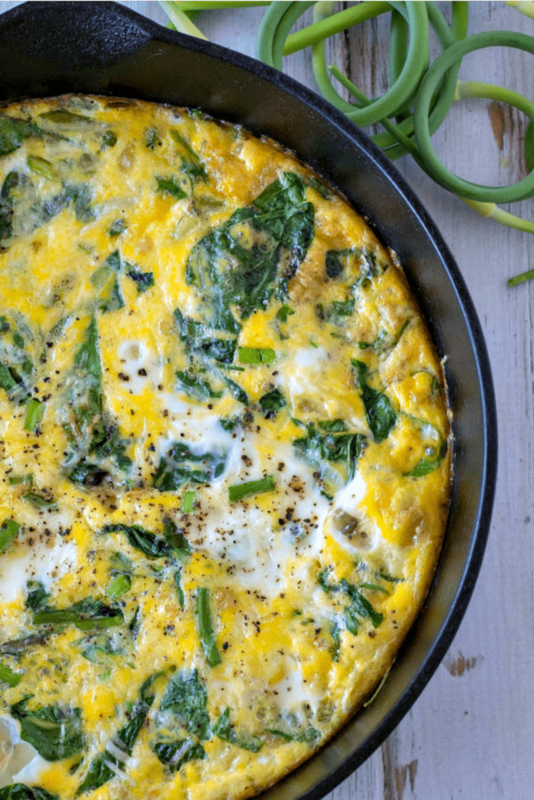 It should be made in an oven proof skillet, and a 10 inch or 12 inch skillet is the perfect size for making this Spinach Frittata for a family. 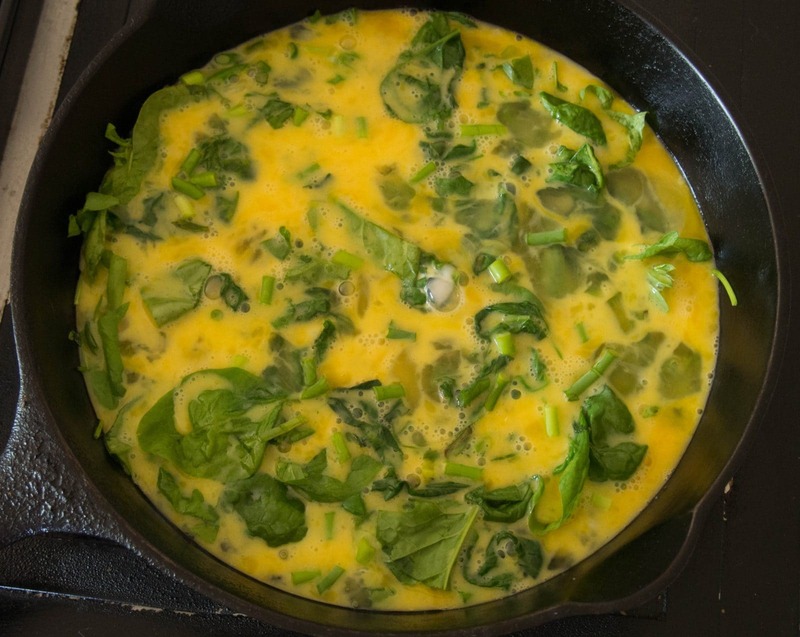 The vegetables in the frittata, in this case spinach and garlic scapes, are sauteed in the skillet to soften them. While the vegetables are cooking you can combine the eggs and cheese in a bowl and mix them to combine. The egg mixture is then poured directly into the skillet and cooked without stirring for a few minutes, until the edge start to set. Then the skillet goes in the oven where it will finish cooking evenly and puff up a little bit. 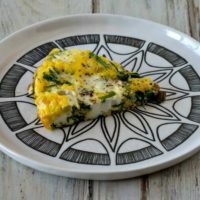 An omelet and a frittata frequently have very similar ingredients, but they are cooked differently and taste different. 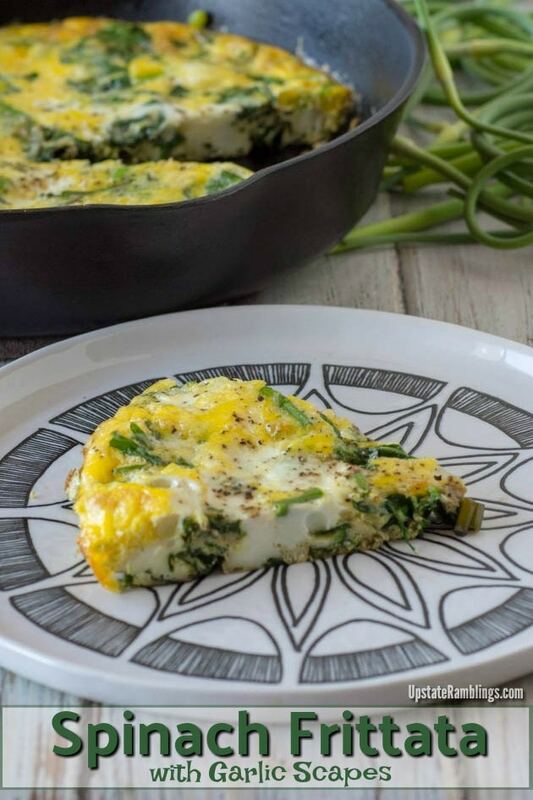 An omelet is made by cooking eggs and wrapping them around vegetables or other fillings, while in a frittata is made by mixing the eggs and the vegetables together and then cooking them. So in a frittata the vegetables are more integrated into the dish. 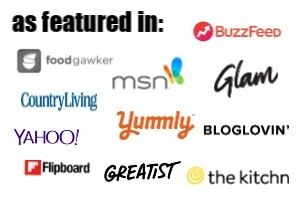 For me the biggest difference is convenience. I can make a frittata that will feed my family in my cast iron skillet, stick it in the oven and feed everyone at once. Omelets require me to make them one at a time, which seems like more work even though they cook quickly. Yes definitely! This is another reason I prefer frittata to omelets – frittatas are more leftover friendly. 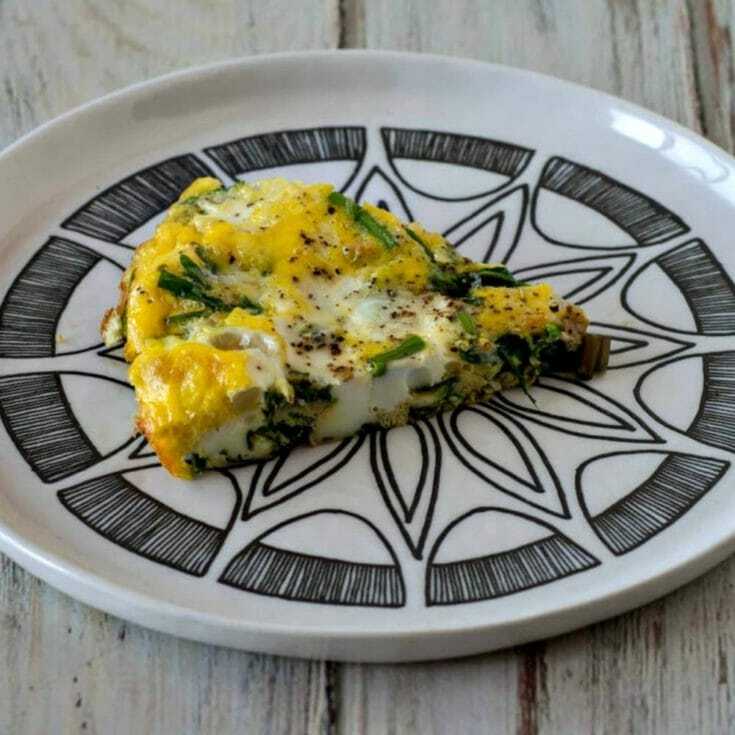 You can reheat a piece of Spinach Frittata by wrapping it in a paper towel or parchment paper and reheating it on low in the microwave. 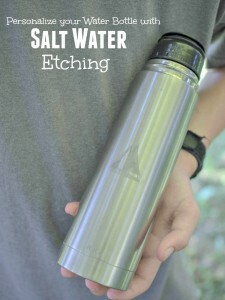 Just make sure it is wrapped/covered so it retains its moisture. 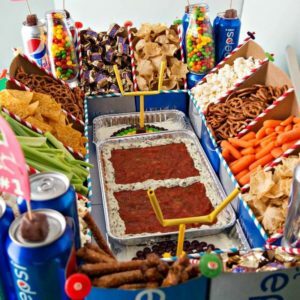 You can also just eat it cold from the refrigerator. I am not a fan of cold leftover egg dishes, but many people are! Heat oil in an oven proof frying pan, on medium heat, and saute the garlic scapes for 5 minutes. Add the spinach and saute until it wilts, about 3 minutes. Spread the garlic scapes and spinach out evenly in the fry pan. While the spinach and garlic scapes cook combine the eggs, cheeses and salt in a bowl and mix thoroughly. 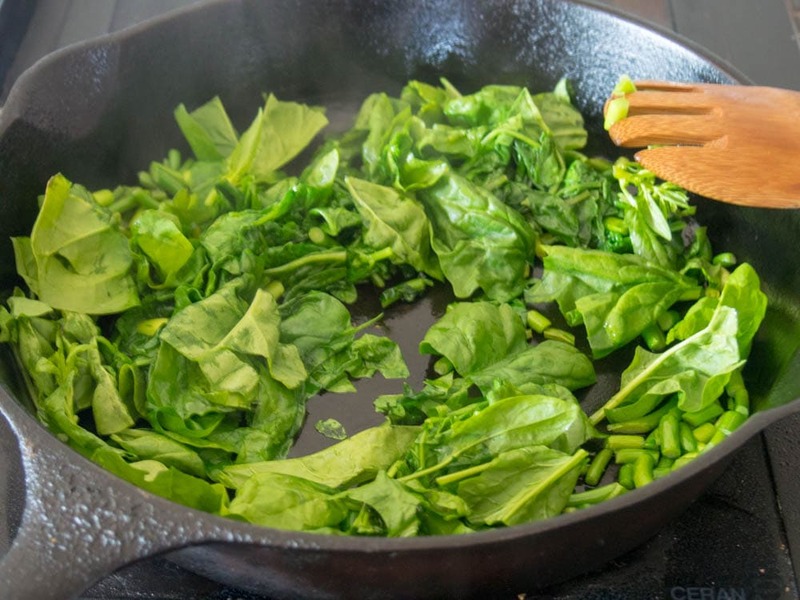 Once the spinach is wilted add the eggs mixture to the skillet, and let cook without stirring for about 2 minutes until the eggs start to set around the edges. Transfer the skillet to the oven and bake for 10-12 minutes until the eggs are puffed and set. Sprinkle with ground pepper. A cast iron skillet or carbon steel skillet is ideal for this recipe. 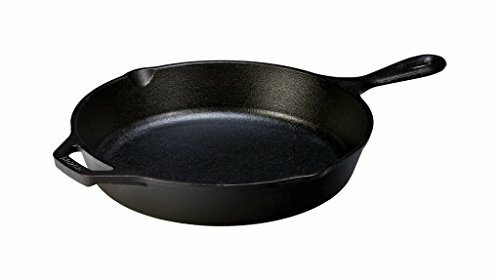 If you want to serve 5-6 people you can use a larger skillet and 10-12 eggs. 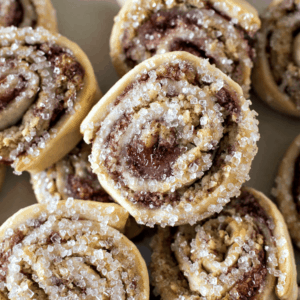 You probably will have to increase the baking time slightly.